Beautiful villa in breathtaking landscape near Benimarraig! 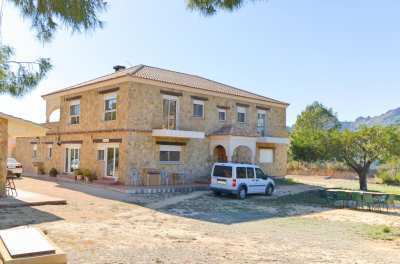 The property is located in Benimarraig, only 5 minutes from Calpe or Benissa by car. It has 4 bedrooms and 3 bathrooms in very high quality equipment. It consists of 2 floors. On the upper floor are the bedrooms with the bathrooms. The villa has been completely renovated with regional specialist companies and taking into account the preservation of historical details. There is a winter garden with barbecue and oven as an annex to the house with access to the garden on the south side of the finca. 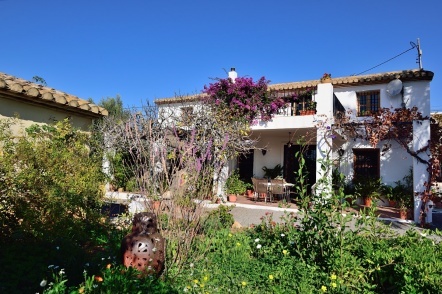 The property has a total area of 13200m² with its own chicken house and private large swimming pool. 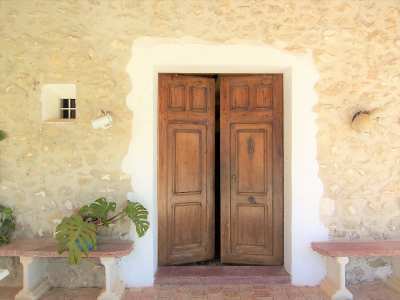 It has a large garage with utility room and several parking spaces for your vehicles in front of the finca. The finca is completely fenced and has an automatic water supply for the numerous plants. There is internet connection and satellite TV. The power supply comes from solar sources. You are looking for a stylish finca in a quiet environment but still within a short distance of the amenities of daily needs then make an appointment today to visit a very special place! Only 4 km with the car to Calpe with the beautiful beach and the daily ammenities. 65km to the Airport Alicante. Golf Courses in 5km distance!